Chinese media warn US claims would lead to war. Experts fear a "dangerous escalation". No comment from the Chinese Embassy in the United States. 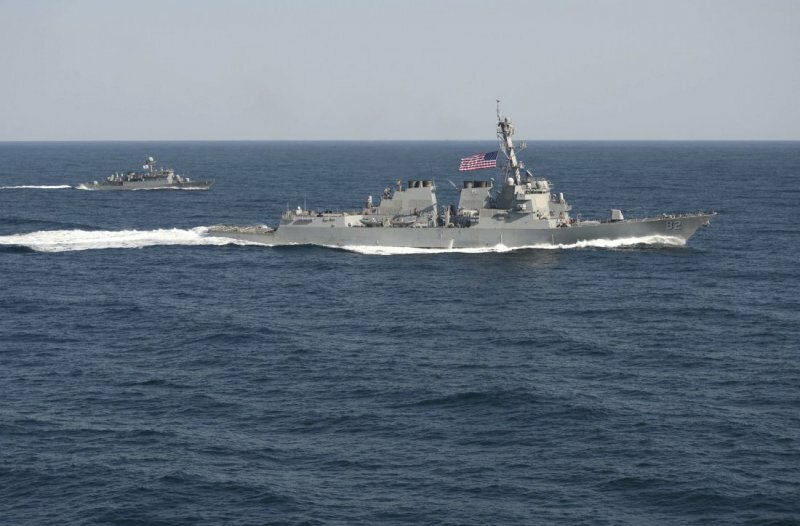 Washington (AsiaNews/Agencies) – A few days after taking over, the new Trump administration has fired its first warning shots at Beijing, saying it was ready to stop the latter’s "imperialist" policy in the South China Sea. For many military analysts and experts, this could trigger a "dangerous escalation", especially if China’s naval forces are involved in the Asia-Pacific region. The new US position represents a break with the past with respect to a number of maritime disputes involving Vietnam, but especially China, which continues its build-up on disputed atolls. For its part, the Philippines appears to be moving closer to China after years of rows and legal battles. When Barack Obama was president, the US always maintained an attitude of caution. Just a few days after taking office, Trump seems to be moving towards a more aggressive policy, at least in words. Washington is ready to "protect" its interests in the region and does not intend to allow China free access to the islands or atolls "in international waters." “We’re going to make sure that we defend international territories from being taken over by one country,” Spicer said. Although the US wants to deny China access to and stop its build-up on the disputed islands, it is unclear how far the US government is willing to go to stop Chinese expansion. Chinese media quickly responded accusing the White House of interfering with China’s legitimate interests in the area. Nonetheless, China’s embassy in Washington has not yet issued a statement on the White House remarks. Most analysts and experts believe that an open clash between the United States and China in the open seas is unlikely, owing to China’s growing military might and the economic repercussions on the US itself. Washington-based South China Sea expert Mira Rapp-Hooper at the Centre for a New American Security called the threats to bar China’s access in the South China Sea “incredible” and said it had no basis in international law. “A blockade - which is what would be required to actually bar access - is an act of war,” she explained. For Dean Cheng, a China expert at the conservative Heritage Foundation, Spicer’s remarks showed the South China Sea was an important issue for the Trump administration. this could trigger a "dangerous escalation"